Blowout Sale! Up to 70% off on Intimates at Felicianeo. 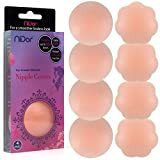 Top brands include icyzone, Emprella, Snorain, Gotoly, Niidor, RSLOVE, Kalon, Nebility, ADOME, Vanity Fair, MMTX, Comfort Choice, Chomoleza, BRABIC, Glamorise, SPICYSTRIP, & Avidlove. Hurry! Limited time offers. Offers valid only while supplies last.